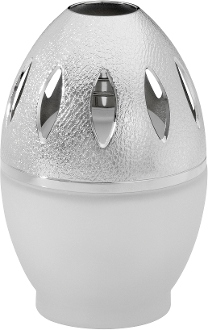 This Lampe Berger lamp with a very elegant appearance possesses a white glass base with a large metallic slotted top. It will enhance almost any decor. The lamp comes in a nice gift box with burner, funnel and instructions.